* Ingredients: Food Grade Distilled Ethanol (95%), Organic Cannabis, Love! * This tincture is made with a Green Dragon infusion (95% Ethanol and Organic Cannabis). It is full-strength and is VERY STRONG!! There is no flavouring in this product. Cannot put into words how excellent this tincture is! 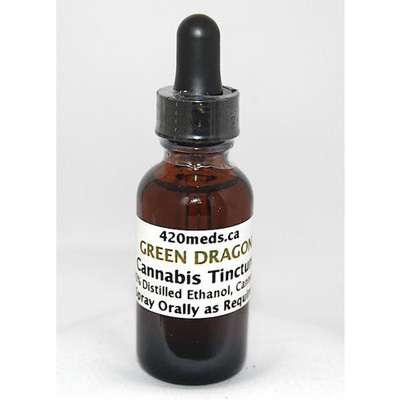 Green Dragon Tincture has been consistently effective for pain, relaxation and insomnia. I start feeling the effects within a half hour and by the one hour mark a heavy dose is exactly where I need it to be to sleep through the night.